Today was one of two days at sea on this cruise. We didn’t want to wake up too early because we were so tired from the night before, but we also wanted to enjoy breakfast! 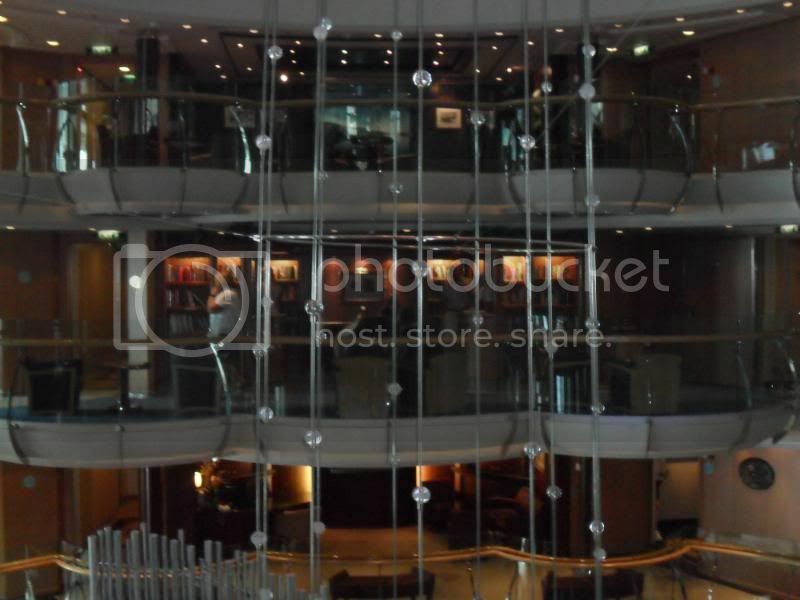 We loved the outward facing main elevators on this ship. You get this great view in the morning. What I miss MORE was THIS one. We finally had a chance to eat in the open air tables at the Windjammer. We thoroughly enjoyed our breakfast. In fact, we very much enjoyed all the food on this cruise. I hear a LOT of people complaining about the food on a cruise, but I loved the Jewel. The selection was great and the quality was very good. I especially loved all the fruit and the soft-serve ice cream! I wish I had taken photos of the food but it completely slipped my mind. 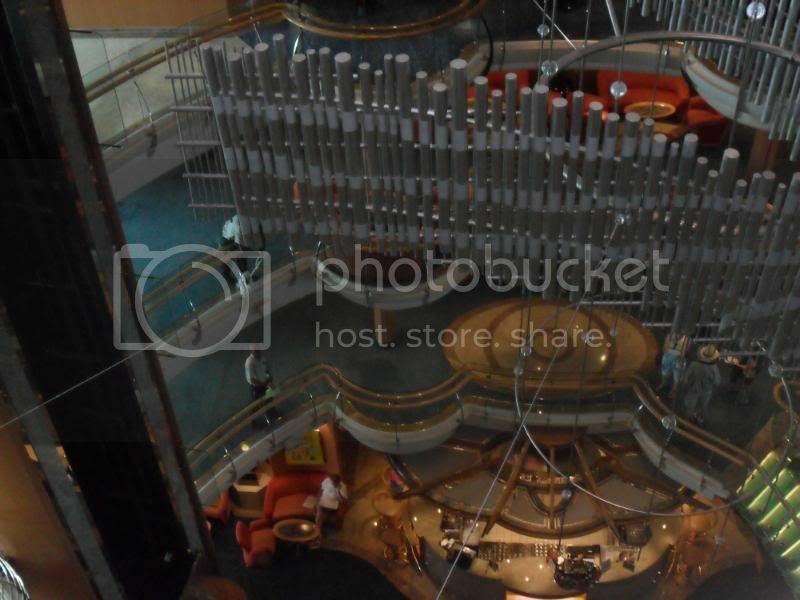 The lobby is beautiful in the ship. We spent our day on the ship exploring it some more, sun bathing on the top deck (which was TO DIE FOR), attending some seminars (well, I did) and spending some time at the casino. I don’t have many pictures because I was too busy video-taping everything. As is the custom on all our travels, YC had the camera in hand. Now…the sun-bathing is definitely not something I planned to do. I just never felt the draw of it. Thought it was a waste of my time. After this cruise….it’s all I want to do on a sunny day. 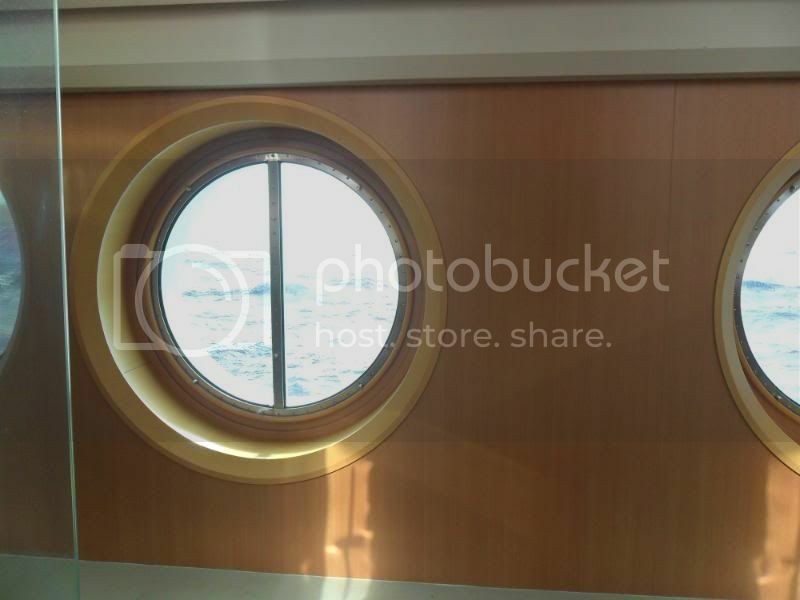 I miss being on that ship and on those waters SO MUCH. 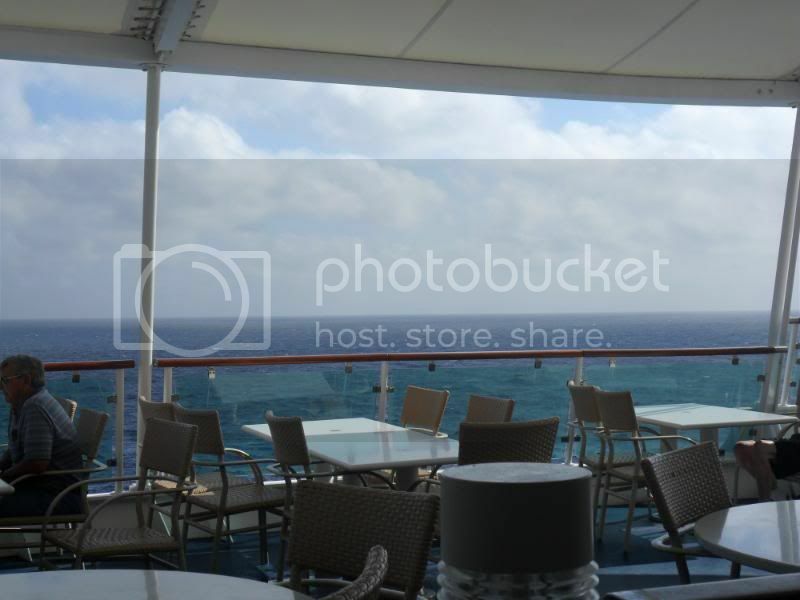 I think I miss being on that cruise now more than I did when I first came home. I miss the relaxed environment and the atmosphere and the leisure and the pampering. Cruises have become so much more affordable and the quality hasn’t changed from my experience. If you’ve ever thought of taking a cruise, I would highly recommend the experience. There really is something for everyone to do. Of course, I’m talking more specifically about American cruises. I hear Asian and European cruises are very different. American cruises have become so much more affordable. 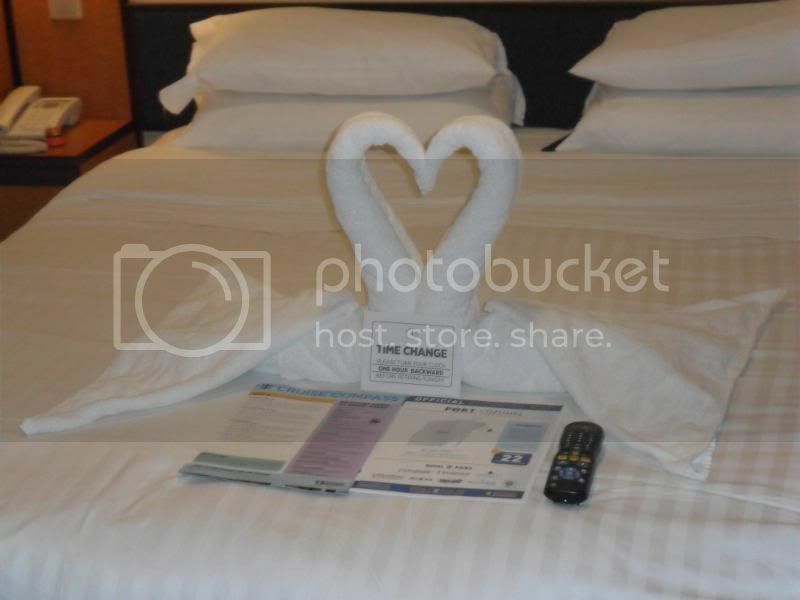 To give you an idea, our 5night/6day cruise cost less than $100/night. If you break down the costs, that includes your room, all your food, entertainment and recreational activities! 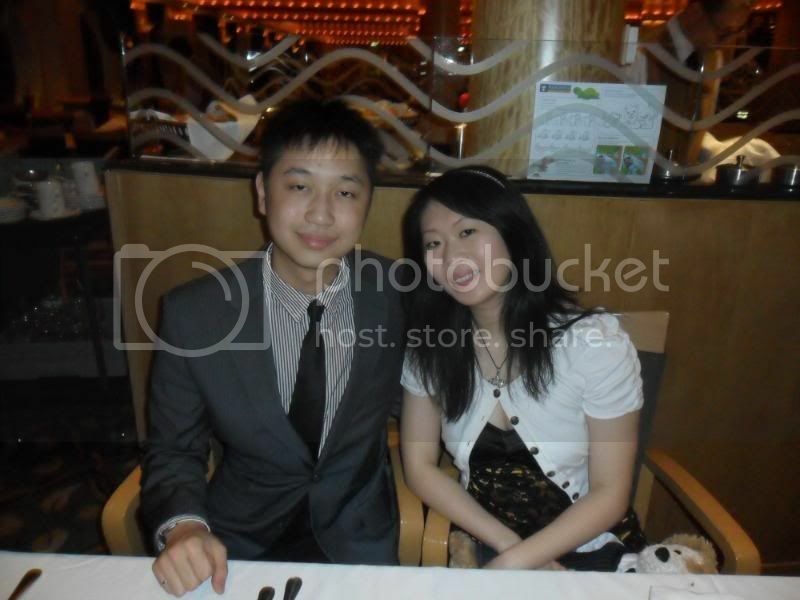 We ended our day with the only formal night on our short cruise. Longer cruises tend to have more than 1 formal night. 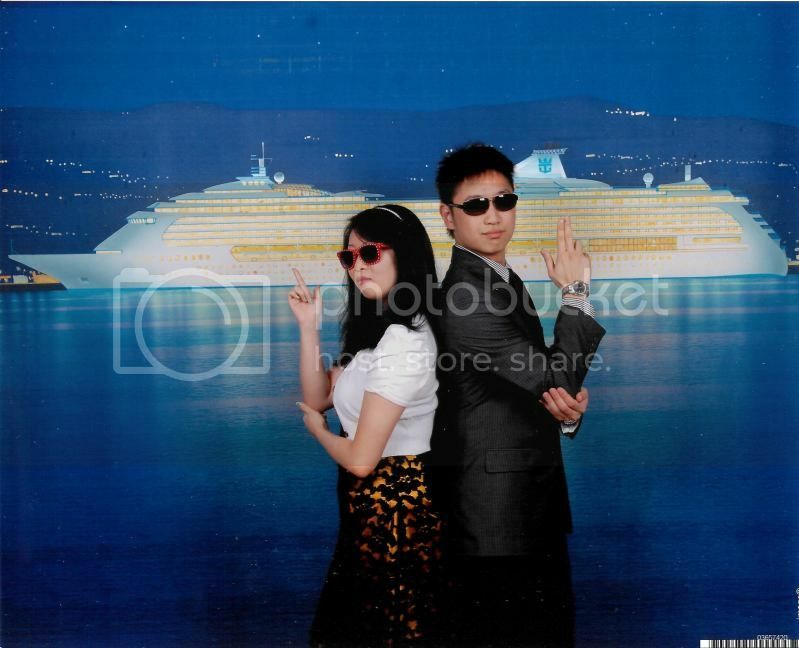 Formal night is a chance for all the cruise passengers to dress up all fancy for one night. The ship also has stations set-up all around the ship to take portraits of that special night. Our wonderful waiter Cornelius took this photo for us. Unfortunately, Anndie didn’t know when formal night would be and had booked a couples’ massage during dinner so we wouldn’t be able to eat with them. They said the massage was great! Escargot was predictably served that night as an appetizer. I must’ve had about…4-5 servings! I LOVE escargot and can eat a lot. I just love that you can get extra helpings at dinner. When we couldn’t decide on an appetizer or dessert, we would just order them all and finish the ones we liked! Since it was a special night, we decided to take a special portrait. This may be one of my favourite photos of the cruise. When we got back to our room, we noticed that Carl had made this for us. It was a great day at sea and we couldn’t wait for our adventure in Cozumel! This entry was posted in On the road again. Bookmark the permalink. ← Your brother just got stabbed in the back! I miss the cruise, too! Minus the sea sickness, it was great. Yeah I never saw the appeal to sun bathing but after Dominican, it was like omg sun, I love you! (I don’t like the sun when I’m walking around and sweating though). It just felt so good to relax. Like I said, probably harmful, but it was nice to just nap on the top deck. Aw man, that fish and chips was SOOO good. Next time for sure! Yeah, I think what I loved was how relaxing it was too. I didn’t even care about getting tanned (le gasp). It just felt so good to sleep there. I heard the food in the main dining places are worse on the big ships cause they want you to spend more money on all their other restaurants. I guess we’ll have to go on a larger ship to know!